The best little glass shop in the world! Complete flexibility - any type of glass, any size you need. The Flexibility of our glass cutting service means YOU DECIDE HOW. No matter, the size, shape or type of glass you’ll find it here and as there’s always a glazier on-site. We’re glass suppliers with a passion for glass, so visit our showroom today and we’ll cut your piece of glass while you wait. Professional at all times but a family business at heart, our customers’ needs are always our number one priority. Here since 1987 and with roots in Newport, Aacme Glass are here to stay. One of the family is always on hand for advice so if you have any queries, just pop in or give us a call and we’ll be more than happy to share our knowledge and experience with you. From toughened safety glass to beautifully bespoke glass balustrades, the possibilities are endless with the finesse and craftsmanship of our expert glaziers. 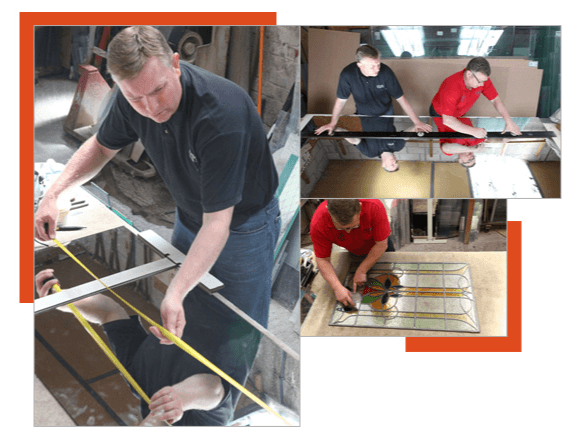 We don’t just stop at glass cutting, and can have your new piece of glass delivered and fitted – even on the same day where available! Visit our glass fitting page for more information. Any glass, any shape, any size! Measure, cut, polish, fit, finish: The complete service and all it takes is one call. So why not make it today?